This is the ultimate "match" in magic!! 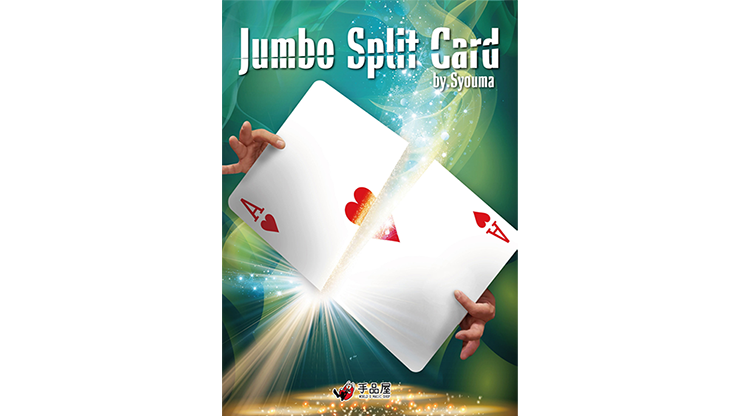 Five JUMBO playing cards are shown, and each has been split into two halves. These a very big cards! Each half is almost the same size as A4 size. Your audience volunteer places a half card on a table, face down. Each time they place one down, you do the same with one of yours. After all have been dealt, the spectator shows their first card - it matches with your first card. This is repeated for all the cards - each half always matches. Powerful mind reading! Unlike using ordinary-sized cards, the audience reaction is HUGE using these giant cards! Marked features make it easy for beginners.